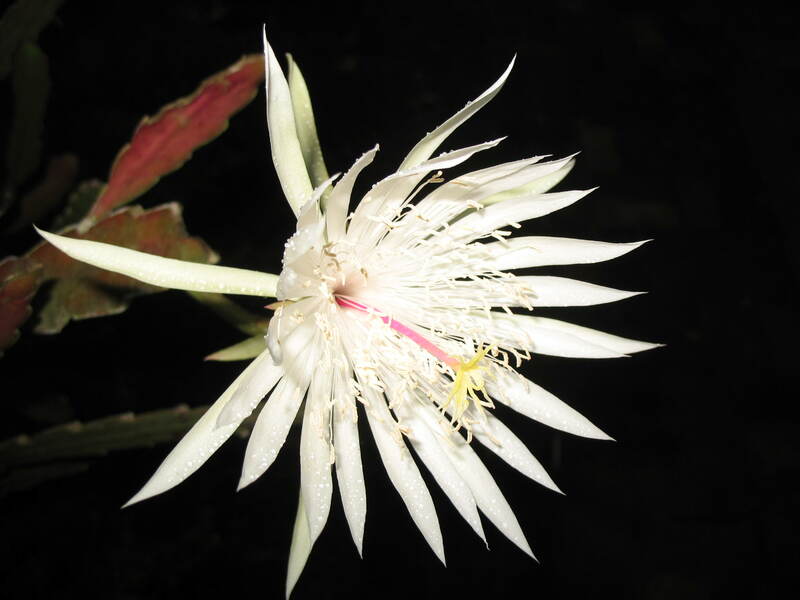 Comments: This succulent is sometimes referred to as the "Queen of the night" because it produces fragrant, exotic flowers at night and then collapses early the following morning. The long flat leaves can reach several feet when growing under ideal conditions. This makes a wonderful container plant growing on the deck, terrace, or patio where the flowers can be viewed up close. When they appear they tend to be subjects of much conversation. Plants grow best in full sunlight to partial shade and in well drained soil. Protect plants from freezing temperatures.